The hotel industry has been in “meta-land” for many years and has accepted it as part of the booking landscape. Like many parts of the VR ecosystem, it is now becoming embedded in the rental space. Should this concern you? The answer is (as usual) not so simple and is entirely dependent on your current business set up, location, management, technology and brand development. Shortening the history and narrative, a metasearch engine pulls data from many sources and endeavours to give a better/more comprehensive result to the searcher. This is clearly easier if the data is pulled from similar datasets as they can be compiled and compared and presented as a searcher may require. The data set formats are very important to the success of this search and as the price is the main driver, this is the comparison objective and key element of hospitality metasearch engines. Hopefully, most people will have heard of Kayak.com (part of the Priceline/Booking.com group or Trivago.com (a major shareholder is Expedia). The following three are companies who have seen an opportunity to replicate this in the rental world. Quote: Tripping.com is the world’s largest metasearch platform for home rentals (think: Kayak for Vacation Rentals). With over 10 million local properties in 150,000+ destinations, Tripping.com gives travelers access to the widest selection of vacation homes and short-term rental homes worldwide. 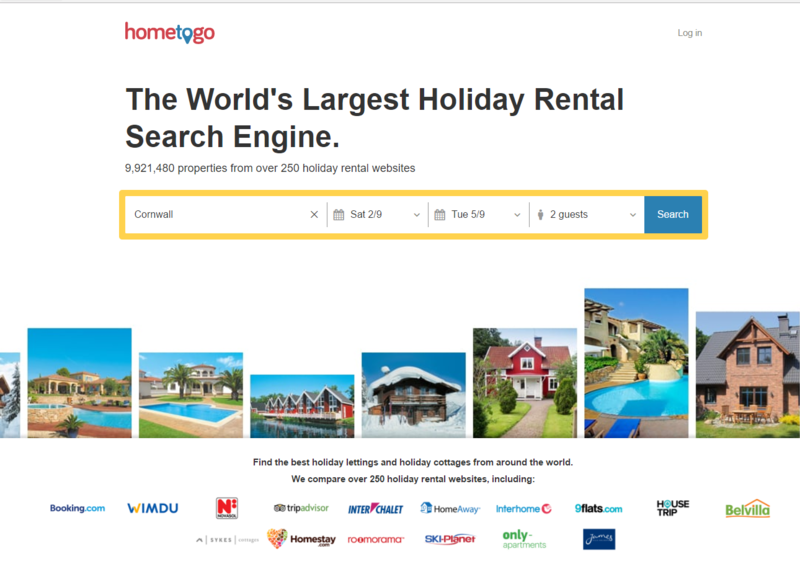 Quote: HomeToGo is an independent vacation rental metasearch engine that allows you to quickly and easily search and compare listings of over 8 million offers in over 200 countries from more than 250 providers. Quote: AllTheRooms is the world’s first and only complete room metasearch engine, combining hotels with home stays (like Airbnb), secret deals (like Hotwire), and all other types of accommodations. Existing hotel-focused metasearch engines, never present travelers with all of the rooms available in a given destination, forcing the traveler to visit dozens of different sites. NOTE: We know from all the research the global market is not approaching 10m properties yet and this is presumably down to nomenclature of counting each supplier’s properties separately or the accommodation is not standard vacation rentals. We have undertaken a simple search to show how this works and used hometogo.com for this sample. 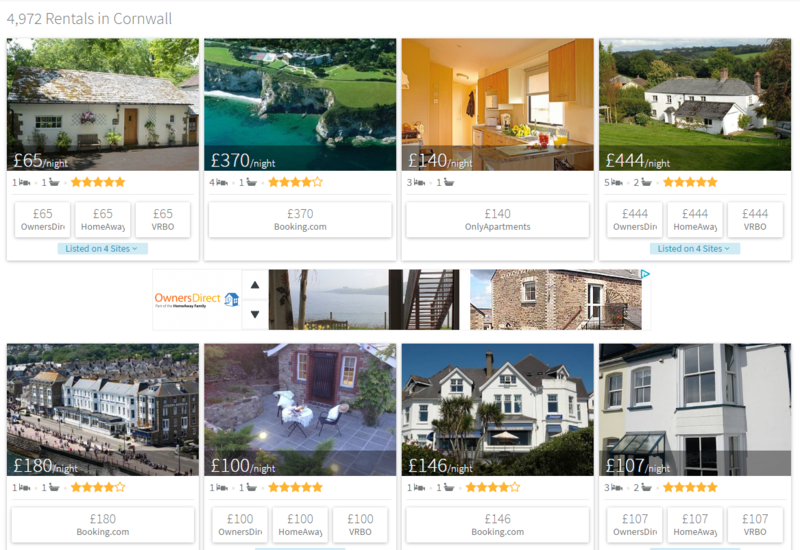 We used a 3-day break in September in the most popular of UK locations, Cornwall. The icons and logos at the bottom represent where the properties are pulled from. Most are very recognisable but have specialist areas. Once we hit search results are shown on a map. There are probably 8,000-9,000 properties in Cornwall, so the results showing almost 18,000 seem rather odd. Unless these are calculated from each supplier as an individual one each time. HomeAway has just over 2,000 listed, which would be the biggest online travel agent in the region but have 4 brands listed as you will see below). There are also a lot of duplicates in the listings, which may be due to API issues and property identity or supplier’s preferential agreement. We would anticipate these are teething problems though and as the industry is forced into data pipelines the consistency will improve. We always knew this was going to be a problem in the metasearch holiday rental world. 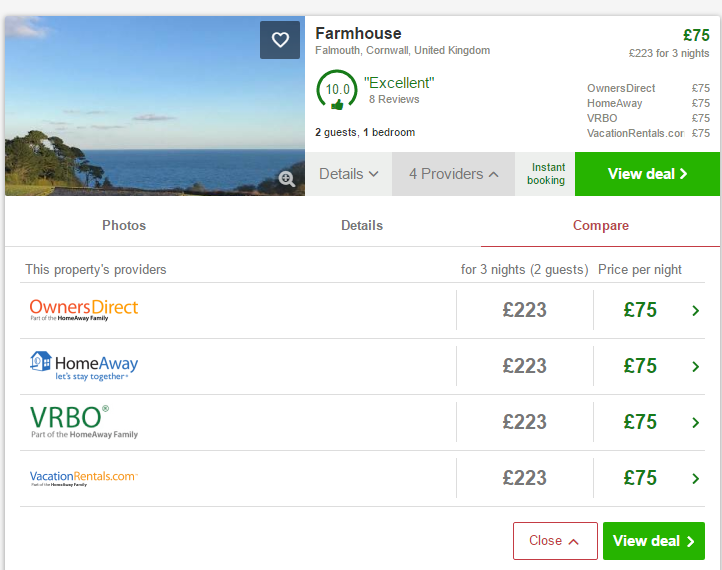 As you can see from the screen shot below and the one directly above that the prices are all the same on a single advert, whoever you book with (excluding those extra charges at checkout, which made a difference when we checked of a few £’s). The whole idea of metasearch is comparative pricing. This requires that different suppliers charge different prices based on a whole basket of metrics and their own business models. The reason in this particular case is that all properties comes from HomeAway brands. We did a search on Barcelona apartments and did find some differences in prices but they were not the norm. This highlights an industry challenge however that the OTAs (Online Travel Agents) are facing, which is discussed later. When we did find prices, they were from a business that also uses these OTAs but then undercuts them on metasearch. For example, this apartment is much cheaper from Friendly Rentals (a Novasol brand owned by Wyndham). We did search on Tripping.com too and the same results, one supplier or the same prices on others. These are in Cornwall. We looked further afield for villas apartments. These are in Thailand, but show the same prices and approach. Properties originate on a local Samui holiday villas site where business is direct. Clicking on a property redirects to the supplier, but interestingly this involves an intermediate step where a Google Adsense advert is shown, which must affect conversion efficacy (presumably not the PPC cost to the supplier). HomeAway use these types of adverts too. The income models for these companies is twofold but primarily charging the property supplier a fee for a click through to the originating site. The second is an income share which is becoming more possible as more properties are instantly bookable and there is no “leakage”. The meta search engines are aggregating data from suppliers, which in itself can be challenging but their big spend is on marketing and bringing eyeballs to their sites. The spend on PPC, brand and organic placement has to be lower that the PPC income, but is a very competitive environment. The following is an extract from SEMRush, US search paid traffic on Google. Of the 148K search visits, 49.4K are paid and costs $67K on 27K keywords. There is an issue here (and guess who’s winning: Google). All the big brands that supply the metasearch are also doing the same thing and spending big on PPC (booking.com is shown as $6.9m per month). Some research on SEMrush for PPC shows price per click for some the places mentioned above at close to $3 per click average in peak season and over $10 per click at peak periods to be position 1 for some keywords. The big metasearch such as Trivago, with a recent IPO says “Trivago will focus on growth over profitability for years to come” with an 87% spend of income on advertising. There is massive growth opportunity apparently and the online experience is so much better. These are the businesses making, being seen online increasingly difficult. This reminds me of the post I did 3 years ago on the search wilderness that made the rounds. VR are not hotels and there is still a need in many places to avoid instant book and there is substantial loss of sales direct as this is truly the most cost effective. This means meta to supplier pay per click is a very important model compared to revenue share. VR realistically (not serviced apts and shared spaces) only have 1m to 1.2m properties available to be fed and probably 50% of these are from owners many of whom struggle to get real time data delivery going. There are closing on 18m hotel rooms worldwide that can be booked for 365 days separately, that’s 6.6bn rooms nights. Traditional VR right now is about 100m bookable nights, considering a minimum 3 night stays. As long as the micro-economics of rentals prevents shorter stays then this number will stay way below hotels and not accelerate proportionally. These issues also restrict rate management, last minute bookings and mobile opportunities. There are many companies out there now who are capable of direct feeds with volume inventory and actually contract the properties directly. We have spoken of super managers before and these pose threats to OTAs and hence meta-search. They can always offer the best and latest deal. Novasol (see above) owned by Wyndham is the largest and with over 100,000 properties they command respect and have negotiating power. VR is traditionally seasonal. These are generally not city apartments their seasons are often 5-6 months. We would consider apartments and city business to be without this discussion. Hotels, OTAs and metas are concious that it’s not a distribute and leave issue when pricing is a key criteria. This means constant tweaking and management or prices to see the best results. There are literally thousands of managers who set yearly rates and leave them alone. Rate management will come when they all use intelligent systems and their owners also agree to flux terms, but this will be slow. Mini meta search on managers websites like hotels will appear soon and increase direct conversions. Dynamic packaging and sale of these types of travel are topical right now and this again means instant, confirmed bookings and no change of booked accommodation. Dynamic packaging is controlled by flights, so instant information is needed. This complex picture questions whether ad spends and brand building, with limited suppliers, (no significant Airbnb involvement) and inflexible pricing on metasearch specifically for VR is a sound business model. We expect technology to ease the pain but as this industry has shown nothing is simple and the margins have less leeway, although we are now seeing guests paying the penalties of speed and ease of booking via the majors. These new meta-sites may be of interest as an acquisition to self-promote their inventory and increase data knowledge but as being standalone and profitable in the VR space, we still need to be convinced. Perhaps why some meta sites are testing being a booking site themselves as well, but competing with their major suppliers. The major selling and research point is price, price, price. VR is more than just a single price. It requires a whole lot more information and needs to be very accurate and absorbed by the prospective guest, which is best delivered by communication. It’s certain however that the big OTAs have a sustainable model, partially due to their ownership and hotel-centric model. They too have access to inventory (Expedia owns HomeAway and are a shareholder of Trivago). The ones who focus on VR solely may see slower adoption, big competition and may need to focus on other segments too. In the middle of all this, they will all be out-competing each other and no doubt crushing owners and small to medium size managers PPC options, with metasearch engines and OTAs creating marketing silos at the top of search pages. Metasearch companies will spend their investments and large percentages of the income to achieve this, but if search volume drops for VR then it will become even more competitive. This is a “Google Trends” search term of “Vacation Rentals” in the travel section. More properties, less search activity can only lead to higher prices on PPC. 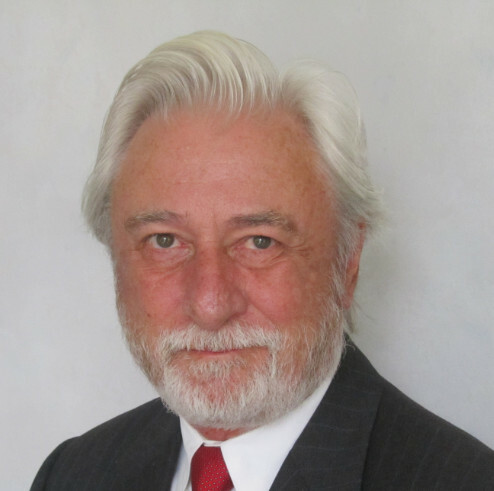 Owners and managers need to think carefully about their marketing mix, as an OTA who charges commission may well need to charge more to supplement their rising costs. It has been referred to as feeding the hand that bites you. If anybody wants to know how much is spent by OTAs on meta (which they all seem to have an interest in as shareholders) read this Skift article. This article from 2015 also makes a good read from eyefortravel.com.